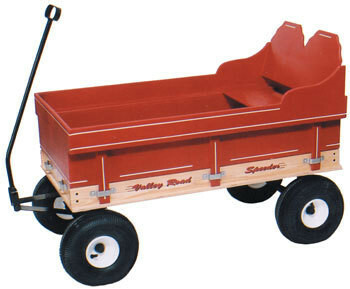 Valley Road Speeder Wagons are Amish built with the finest hardwoods. The bright red, green, blue & pink side racks are stapled & glued for a strong bond. No-tilt auto-turn steering, ball-bearing wheels, & heavy steel framework make a strong wagon for pleasure, gardening, farming, or for the contractor. 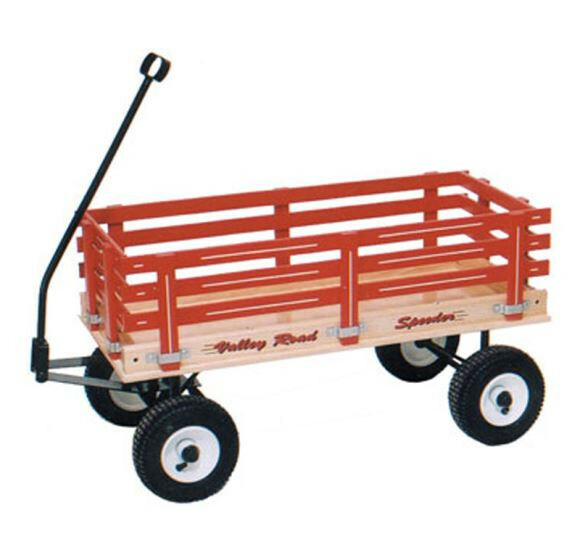 With proper care, these wagons will give you & your family years of enjoyment! • Weight of assembled wagon: 45 lbs.